← Two Pillows – Finally Finished! Happy Birthday to me! Yes, today is my birthday – one of my favorite days of the year (besides Halloween and Fourth of July) and I thought it would be fun to celebrate with a Cupcake Pincushion. Awhile back during one of my thrift store runs, I bought a bunch of plastic ramekins with the idea of making something with them. 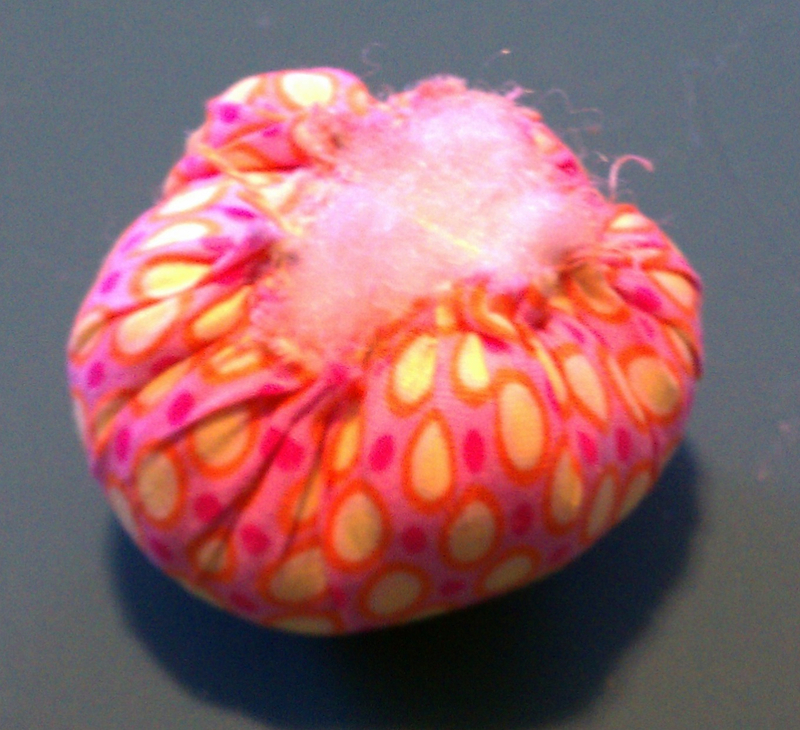 Inspiration struck me when I was trying to come up a fun gift for a sewing friend and this cute little cupcake pincushion was born. In honor of my birthday, I put together this tutorial for you. 1. Trace around the saucer on the square of fabric. 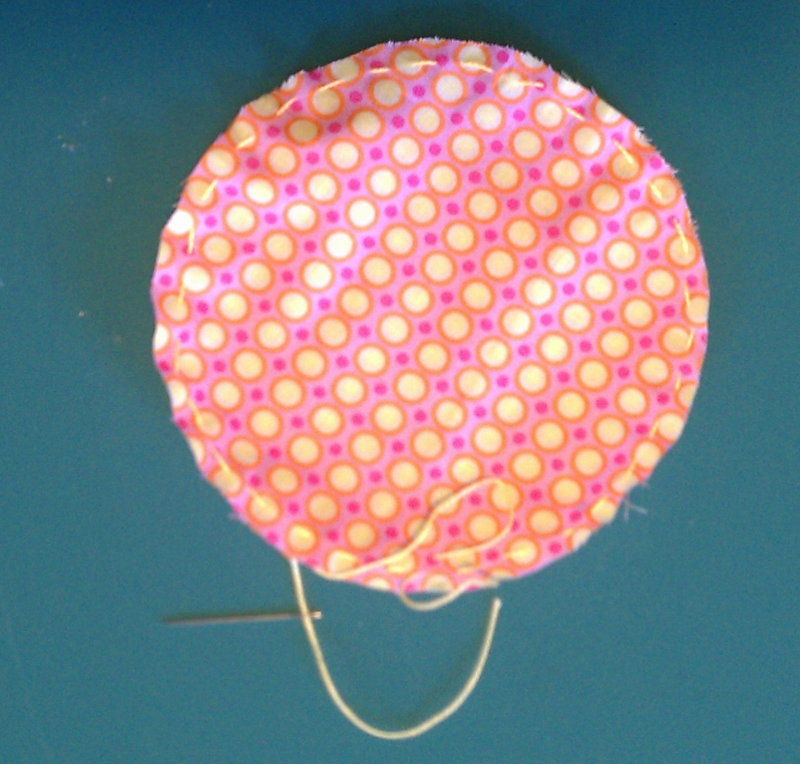 The circle should be roughly 5 1/2″ in diameter. 6. 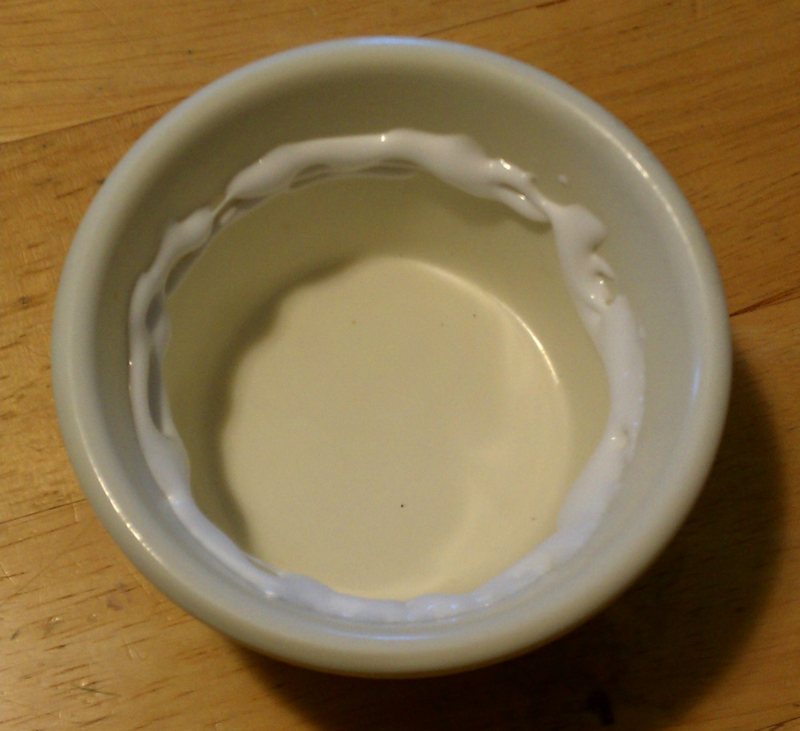 Apply glue to inside of ramekin. (Figure 5). Place cushion inside ramekin and let dry for a few hours. 7. Cut 18″ of ribbon. Use glue dots to secure ribbon to outside of ramekin (place glue dots about every inch around top). Tie into a bow. Put a dot of glue to secure bow. Add some pins. Enjoy! (Figure 6). Have a great day and eat some real cake. 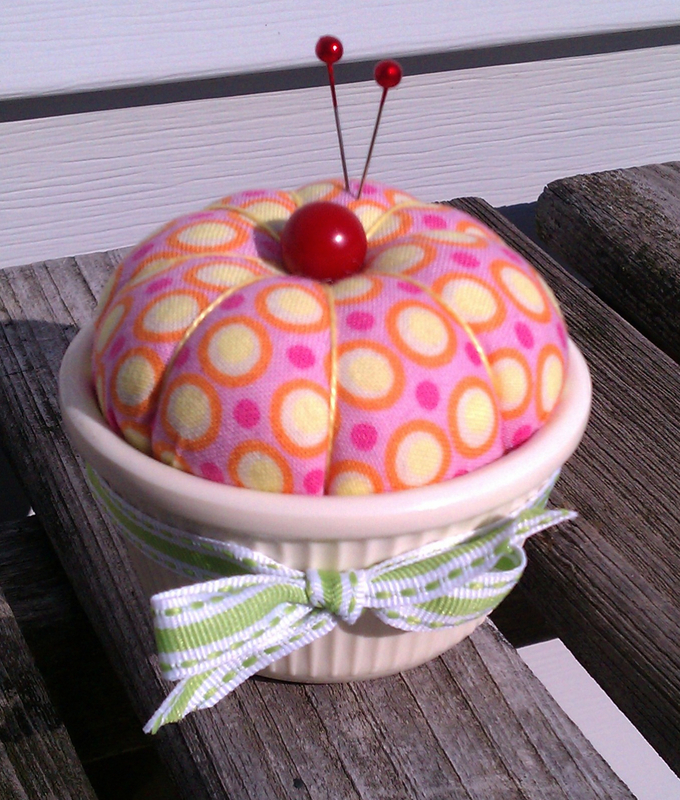 This entry was posted in Flea Market Finds, Gift Ideas, Holidays, Pincushions, Tutorials. Bookmark the permalink. how pretty that is – and happy birthday! Congratulations for your birthday!! hug and kisses!! 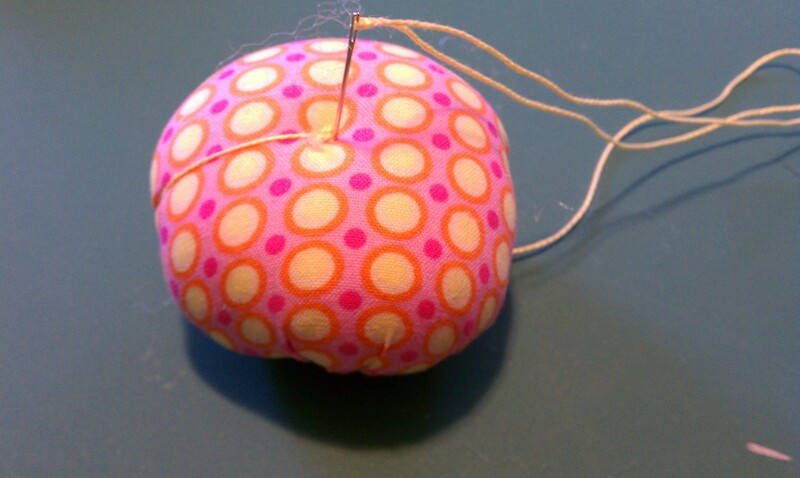 Adorable pincushion! I need to make one for my sister’s birthday- which is tomorrow! 🙂 Happy Birthday!!!!!! Thanks Emily. Did you make one of these for your sister? Great pincushion!! What a great idea for a bit of a hostess gift or just a last minute “happy.